This is what Alice In Chains might have sounded like if they’d kicked the skag and cheered up a bit. Then again, maybe not, but vocalist Ben certainly has something of Layne Stayley inside his throat. 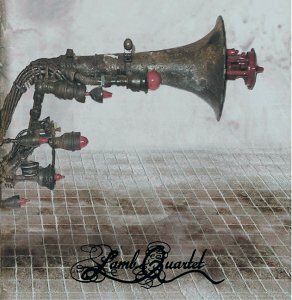 There’s not question that Lamb Quartet (for the record, there are five of them) are a metal band but they mark themselves out by drawing on a huge range of styles and influences to take the work of Faith No More and Incubus one step further. In any one song you might hear punk, metal, jazz, funk, soul, rock, the odd dose of death metal intensity and even a brief homage to Groove Armada (in Perv). This wholehearted attempt to be different sometimes hinders the album, making parts of what is generally an impressive debut completely uninteresting.